Today I’m wondering what it takes for a black man to be regarded as human in America. 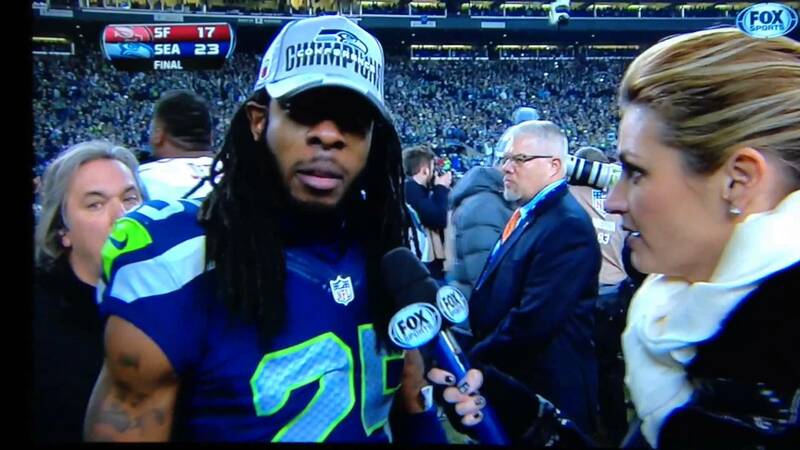 Today Richard Sherman is being lambasted for his animated post-game interview in which he dared to express emotion outside of the cubic centimeter men of color are allotted. A cornerback in one of the most physically demanding sports in the country—after a game in which bodies were injured and crushed; after a game that required players to be helped off the field—wins a critical game and has a microphone stuck in his face. He says what he says, and suddenly the nation is clutching its pearls, tutting and making pretend-concerned remarks about sportsmanship and graciousness. Today, Tom Brady criticizes Richard Sherman for his lack of “graciousness.” Today, Richard Sherman is being called a thug, and I’m wondering what that word really means.